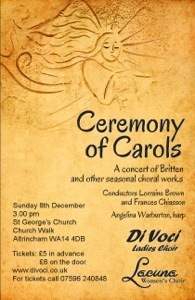 Di Voci are proud to announce that their new CD recording is available to buy now, entitled Singing Bird. Many thanks to St George’s Church, Altrincham, for allowing us to record in their beautiful space. 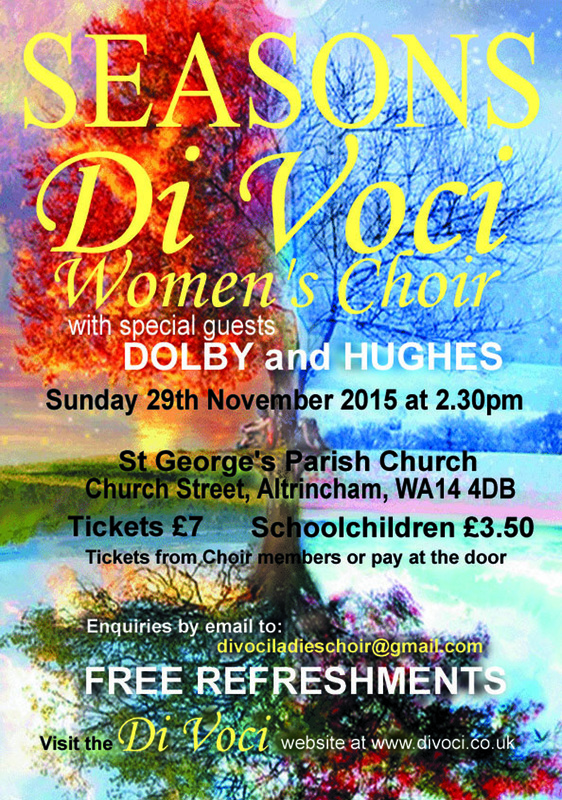 November is officially here and so Di Voci are proud to announce their forthcoming Christmas Concert – Melodies & Mistletoe. Sunday December 4th at 2.30pm. Di Voci will be joining Sale Brass at their concert celebrating Her Majesty the Queen’s 90th Birthday this summer. The concert will be a celebration of British music and takes place at Sale’s Waterside Arts Centre on Saturday 11th June, 7.30pm. Tickets are available from the Waterside at £8 (£7 concessions). Join Di Voci for their summer concert with special guests Sale Brass Band. Saturday 11th July 2015, 7.30pm. Tickets £7. School children £3.50. For tickets call 07505 913756 or leave a message below with your contact details. 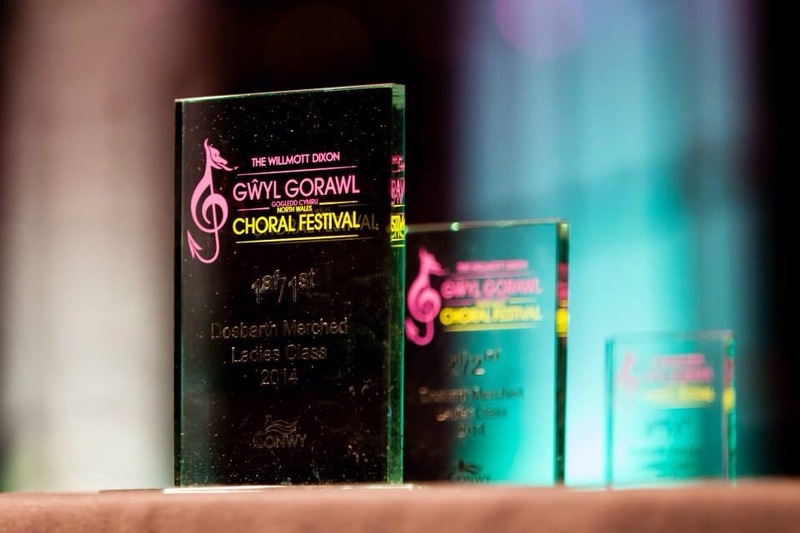 Have you seen Di Voci’s winning performance at the North Wales Choral Festival yet?